Weve, the mobile joint venture between EE, O2 and Vodafone, is set to appoint the former G2 Joshua and ZenithOptimedia leader, Tim Hipperson, as interim chief executive. Hipperson will take control of Weve following Campaign revealing the surprise exit of David Sear last month after one-and-a-half years as chief executive. He has a strong customer and data background and joins Weve at a critical time in its evolution as a number of beta trials roll-out around new mobile ad formats and payment services. He is believed to have a remit up shake-up Weve’s operation, and ensure the expanding venture is fit for purpose as it pits itself against the advances in the mobile ad space being made by tech giants including Google and Facebook. Hipperson’s interim role is believed to extend well into 2015, until a number of projects at Weve come to fruition. Weve’s unique proposition is more than 22 million opt-in subscribers garnered from the trusted networks of EE, O2 and Vodafone. The joint venture reported £13m in revenue in its first year from text messages alone. However, its shareholders have already invested £38 million to develop a unified platform for mobile advertising, and it is this next phase, and a new team of 90 staff, that Hipperson will now lead. Hipperson already holds a number of advisory and non-executive roles, including at real-time bidding specialist, Intelligent Futures, and online collaboration platform, Sosius. He will be familiar with many of Weve’s priorities, having already worked with Vodafone as a global marketing client during his time at digital and data agency G2 Joshua. 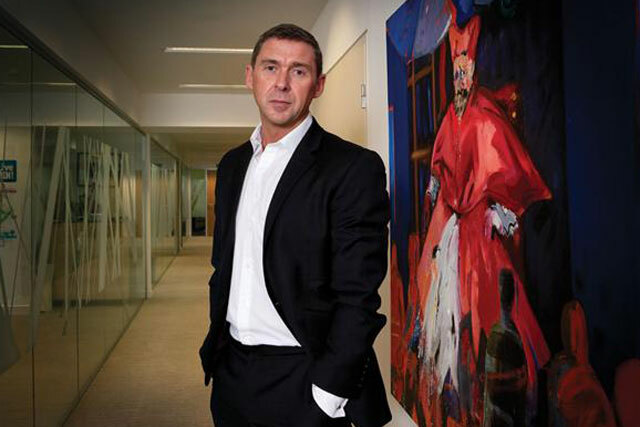 Prior to joining G2 in March 2010, Hipperson was chief executive of RMG Connect from January 2007 until the end of 2009, when it was merged with JWT to form an integrated network. Hipperson’s previous senior roles include two years as global director of digital at Interpublic Group’s DraftFCB and managing director, rising to chief executive, at Draft’s sister shop MRM. Earlier in his career, Hipperson spent five years at TBWA/Tequila and five years at The Database Group. Sear left Weve to become chief customer officer at online payment company Skrill.